Erstwilder’s new In Bloom collection modeled by Miss Victory Violet. Image by Elizabeth J Photography. 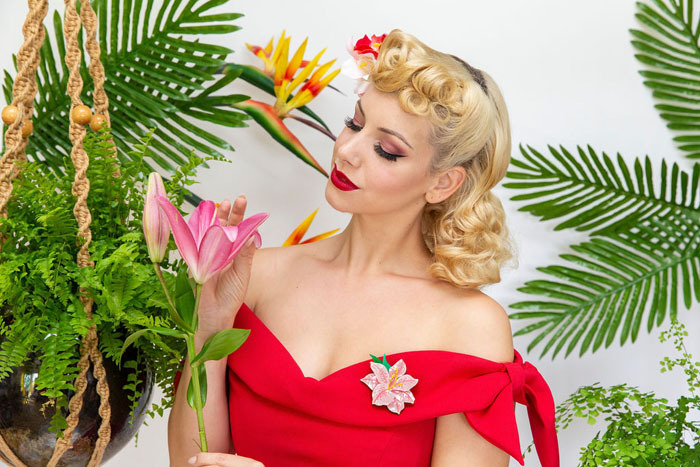 While we once associated brooches with our grandmothers, younger generations have been embracing the brooch as a stylish and fun way to accessorise an outfit. The popularity of Alessandro Michele’s quirky looks for Gucci have often featured brooches with everything from bows and logos to lion’s heads and even a flying pig for good measure. The leaning towards brooches goes back further though and can be attributed to the rise of vintage-inspired dressing that began in the late 2000’s and is still really popular globally although these days with a more modern twist. 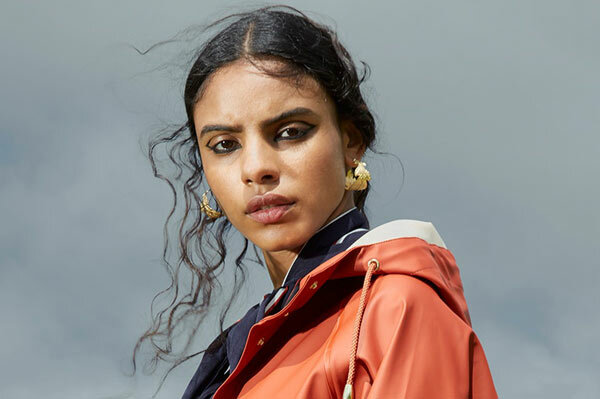 The likes of resin jewellery label Erstwilder in Melbourne have seen great success with their playful layered jewellery that has a focus on brooches. The label launched in 2011 and their latest collection called In Bloom features a number of beautiful floral brooches that are modern and wonderfully detailed. 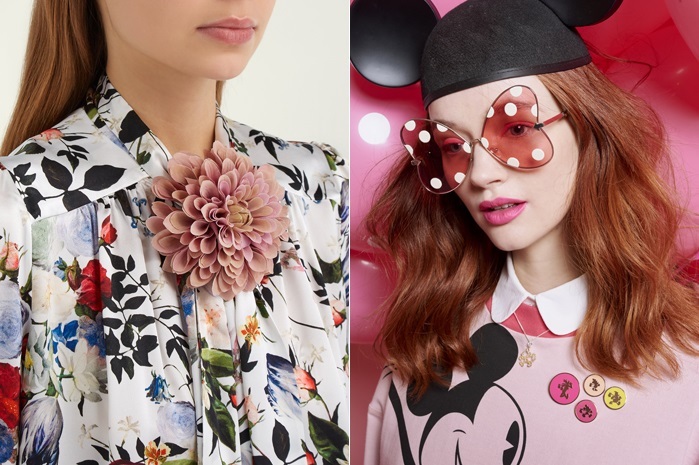 Locally, we’ve seen brooches and also enamel pins popping up in new collections like Karen Walker’s recent collaboration for Disney which has been well received. Zinnia Flower brooch by Philippa Craddock £165 from Matchesfashion.com (left) and Disney x Karen Walker Mickey and Friends Badge Set $55 (right). 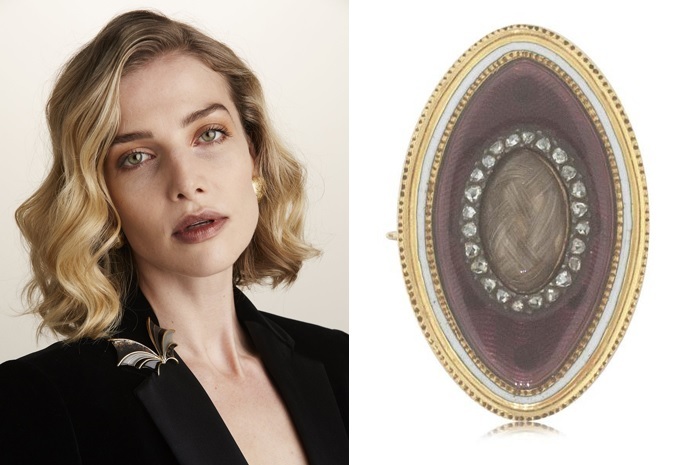 There are lots of gorgeous brooches and pins being offered by international designers and brands that are available in New Zealand and local jewellers like Walker & Hall also have a range of beautiful modern and vintage pieces as well. Vintage is something that Love & Object specialise in with owner Constance Cummings sourcing winsome pieces from all over the world. Her carefully curated pieces go quickly though so if you spot something you like on her site or in the showroom don’t put off your purchase. 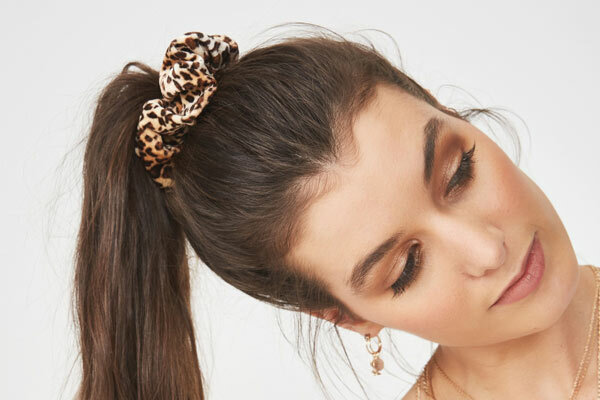 Once an accessories staple, the demand for brooches is definitely increasing again and it will be interesting to see more local offerings as brands embrace the brooch. 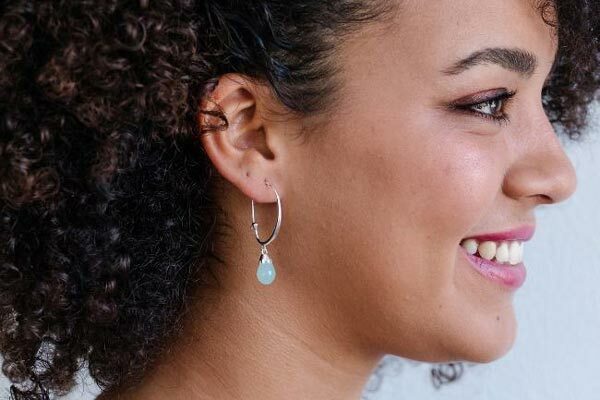 Whether you want to wear a brooch on your lapel as they’ve traditionally been worn, pin one to your sleeve or waistband, they’re a perfect way to add a stylish touch to your outfit. Love and Object Bat Brooch $349 (left) and Walker & Hall Enamel and Diamond Brooch $490 (right).